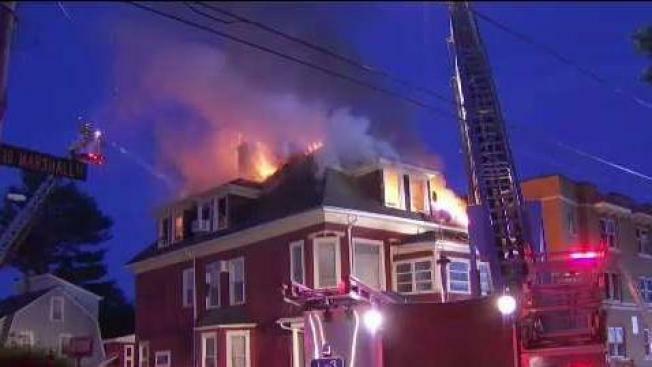 Dozens of people were forced from their homes after a fire at an apartment complex in Hartford on Saturday. According to officials, more than 50 firefighters were called to 232 Marshall Street around 7:20 p.m. for reports of a fire. After they arrived on scene, crews quickly called for a second alarm. According to firefighters a second building in close proximity, 240 south Marshall Street, also caught fire. Three firefighters had to be taken to the hospital to be treated for exhaustion.